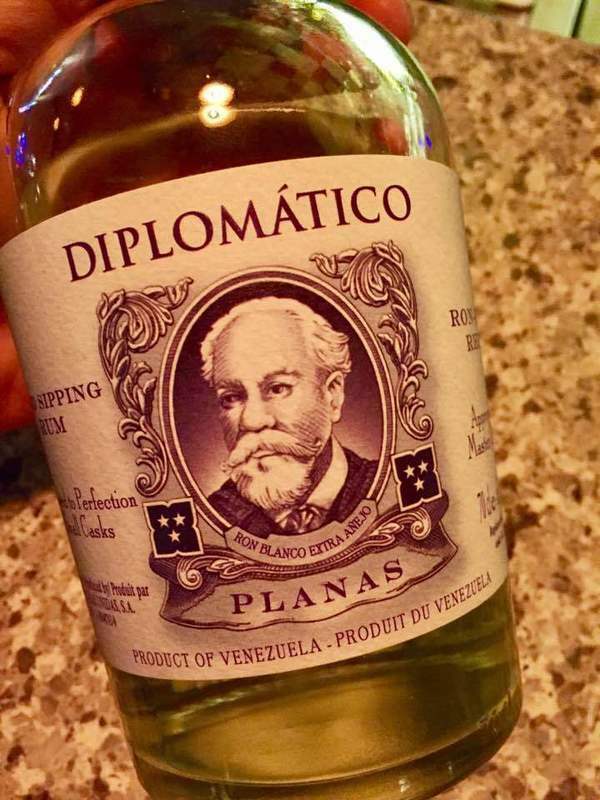 Have you found an online vendor selling Diplomatico Planas? 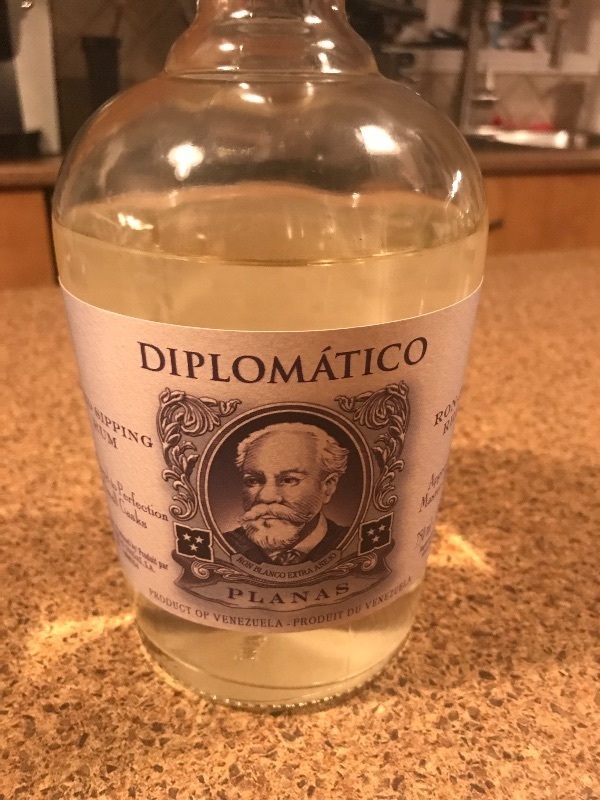 I read that this was replacing the Diplomatico Blanco, so I thought I'd try them both side by side with the hopes that this would be at least as good as that. It's close, but I slightly prefer the Blacno. This is a tad less sweet than the Blanco and it's 47%abv rather than 40%. I read it was intended as a mixer. Not a bad business decision, as their Reserva is far better if you like straight rum. But I rate rums straight, and I slightly prefer the Blanco, so I'll give that the edge. Still, this is very good, and I believe this would make a great mixer. i admit it. i'm a barrel and age snob. i was expecting this to be harsh ethanol mixed with a splash of windex. it turns out to be a 6 year aged gold rum, charcoal filtered to be crystal clear (Which i again ask: "why?"). nose is missing the barrel and betrays this as a younger rum, maybe maybe a hint or raisin? the taste is clean, with some age, a LOT of black pepper, and some heavy syrupy fruit (like maybe mango but not strong... more like a viscosity thing). all in all not bad, would make a pretty fine daiqiuiri i think. 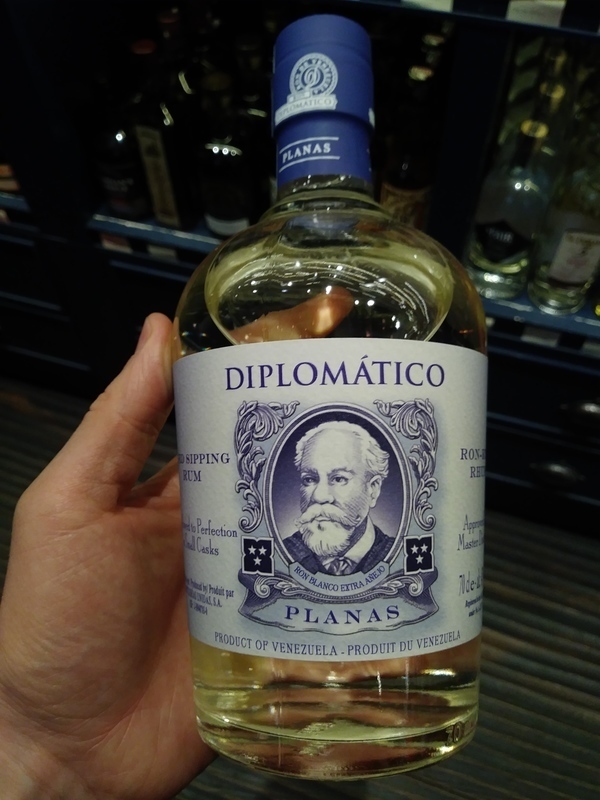 Enjoyed a bottle of Diplomatico Planas while in London. Nice bottle and label design. Floral notes and coconut straight to your nose and palate. Quite a kick at the end. 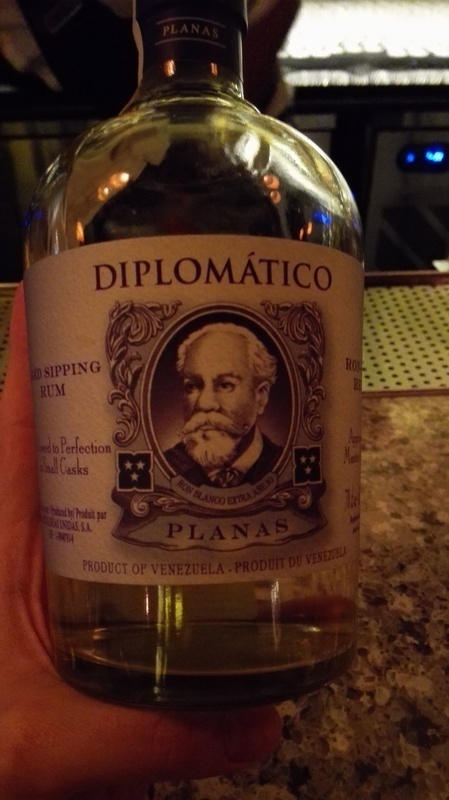 The Planas is not meant to be a neat sipper rum. Minty with peachy citrus aroma. Smells of coconut flesh with hint of sweetness from coconut water. Complement with buttery oak aroma. Buttery mouth feel which provide a body to it. Coconut flesh flavour, nutty almond, hint of cedar wood but balance with good tartness. Clean and medium length finishing. Grassy notes with alcohol minty-ness. faire un rhum blanc a partir d'un rhum ambré (décoloré en le filtrant sur du charbon...) idée surprenante pour un résultat tout aussi surprenant, un rhum blanc proche des sensation d'un rhum vieux. a tester, il devient très intéressant pour élaborer des cocktails. Sharp on the nose with a heavy alcohol taste as a sipper, too strong to let any real flavor come out. As a mixer it overpowers some citrus and ginger ale, okay in Coke. Nothing special enough to add to my regular stock. J adore les produits diplomatico, un goût fruité et noix de coco, un peu fort en bouche. Je ne suis pas un amateur de blanc mais il est bon. It starts a bit harsh, but mellows down soon. The aroma is woody and the taste fruity, but not overly sweet. Has a slight charcoal after taste and a warmth down the throat. Sips reasonably easy once the ice starts to melt and mixes even better. A very versatile bottle to have in stock. White rum for mixing, not for drinking straight. It seemed a bit sharper than white Cubaney, but hard to tell for sure now. Not something Special! Not something Special! Not something Special! Not something Special! Not something Special! Not something Special! Not something Special! Not something Special! Not something Special! Not something Special! Not something Special! Not something Special! Light and fruity on the nose, full of flavor with the first sip, and a long finish with a hint of sweetness left behind. Slightly over-proofed at 47% abv. Baby rum :o) je treba si ho doma nalozit na par let do sudu dle vlastni chuti. Very sweet and winning nose, vanilla, white sugar, slightly sour and hints of almond, wooden bitterness and coffee beans. However, no complexity with a short finish. Ok, maybe with some hints if pineapple and other tropical smells. Taste is just ok, maybe goes well for cocktails. I think they were just playing around with this one or ran too large of a batch and went straight to bottling. Aged for up to 6 years in American white oak and ex bourbon casks. Gravity fed charcoal filtration to remove the colour. Aromas of fresh coconut a little earthy. Taste very smooth and creamy with a hint of coconut water. Bottled at 47% abs am impressed. Not being a white rum drinker, I was surprised at the richness of taste, approaching ambassador's better dark rums. Not for sipping, but quite nice in for instance a mojito.